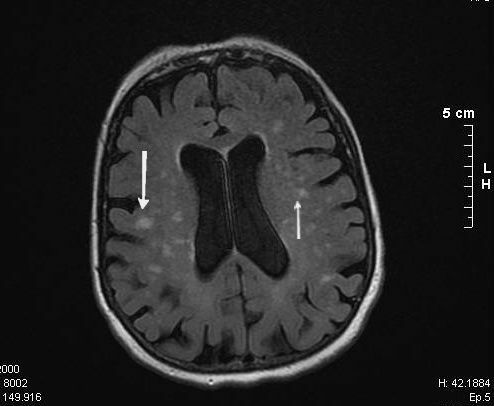 Leukoaraiosis (or sub-cortical vascular dementia) is a form of vascular dementia, a dementia associated with cerebral vascular lesions. Leukoaraiosis occurs in old age and is predisposed by hypertension. It firstly presents with cognitive problems (memory loss, difficulty reasoning), and then by mood disturbance.